Almost every client that we meet with does a really good job describing their products and services. Years of experience with everything from sales presentations to trade shows have helped them hone these descriptions into something useful and effective. These descriptions are a good start, but something is missing. 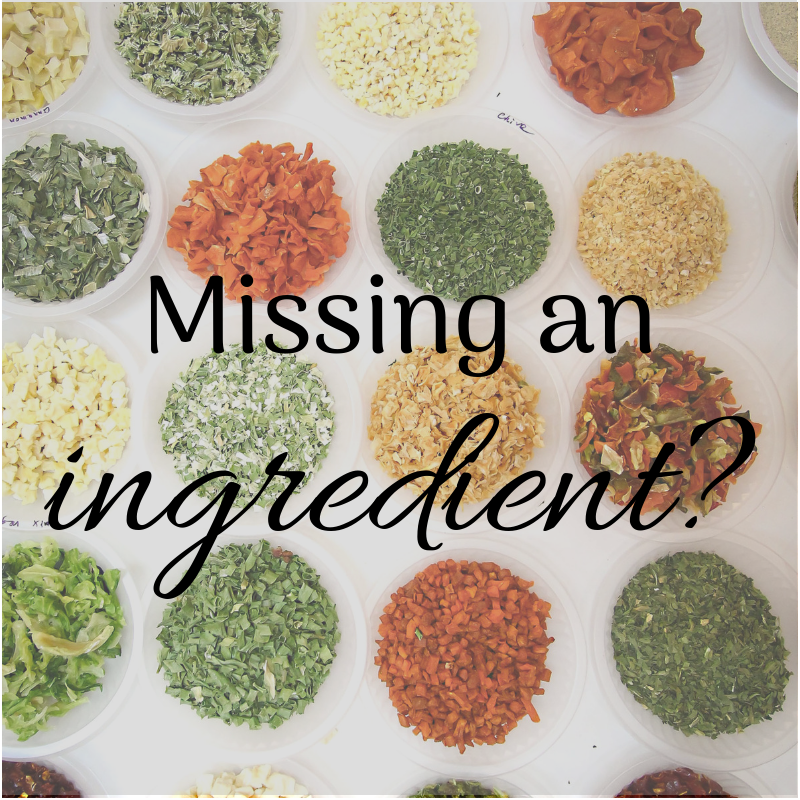 These companies are missing sales opportunities because their descriptions are missing a critical ingredient and they don’t even know it: their customer’s perspective. Traditional product and service descriptions may be helpful for some contexts, but they represent your perspective on the solution that you provide, not your clients. Listening to your client can revolutionize everything from your marketing message to your website’s SEO. Let’s take a look at an example. Enter Your email address to download Electromagnetic Marketing’s “Client Interview Guide”. Start attracting more clients today! Developing an organized strategy for gathering and processing client feedback will affect many aspects of your business, but it will revolutionize your marketing communications. Let’s look at an example. ABC Equipment sells heavy construction equipment. They have a new piece of machinery that gets better gas mileage and can haul heavier loads. Let’s look at 2 ways of describing this equipment. The new XR123 Hauler is the most reliable hauler in the industry according to JD Power and Associates. This state of the art hauler from ABC Equipment can haul 10 tons, a 20% improvement from the XR122, all while achieving a 15% improvement in fuel efficiency. Test drive one today to see why the XR123 Hauler is revolutionizing the industry. With rising construction costs, many construction managers are struggling to keep projects on time and on budget. The new XR123 Hauler decreases your job fuel cost by almost 1/3 by hauling 20% more than the XR122 while achieving a 15% improvement in fuel efficiency. You can eliminate critical bottlenecks on your construction site, keeping your job on time and on budget. How are these examples different? Which one do you think is more likely to lead to a sales opportunity? You probably realize that we would advocate for the client-focused description. The differences are subtle but important. Let’s take a closer look. #1: Option 2 shows that you understand the challenges that your client faces. Businesses get so excited about their excellent products and services that it can be hard to stop talking about them. It’s easy to forget that your service is great because it solves a problem. How does the client describe the problem that you solve? What questions do they ask when they are looking for a solution to that problem? What terminology do they use to describe the solution that you provide? Effective marketing listens to the client to understand the answers to these questions. #2: The customer is the hero of the story. In Storybrand, Donald Miller says that everyone is the hero of their own story. In traditional product descriptions, the product is the hero of the story (“The XR123 Hauler is revolutionizing the industry!”) In other scenarios, the hero might be your team of dedicated experts or a process that has been proven effective by years of delighted clients. But effective marketing describes your customer as the hero. As Donald Miller points out, if your customer gets to be Luke Skywalker, then you get to be Yoda. You are the wise sage that can guide your heroic client on their path to success. That is exactly how you want to be positioned for marketing success. #3: Features are described in terms of the benefit to the client. The traditional product description does a good job laying out the benefits of the XR123. Larger capacity and better gas mileage are great benefits that anyone could understand. The customer-focused example covers the same information, but it does it in a way that shows an understanding of the challenges that the client faces and it casts a vision for how their life will be different with the XR123. In this scenario, the client can imagine themselves in the story. Effective marketing must begin with a deep understanding of your client, the problems that they face, and the way that they understand the solution to their problem. In our experience, even companies that have close relationships with their clients fail to understand the way that their message sounds to potential clients that haven’t engaged with them yet. Since most companies aren’t aware of these missed leads, they don’t have any idea how to start working on a solution. Contact us to schedule a consultation today, or download our client interview guide. 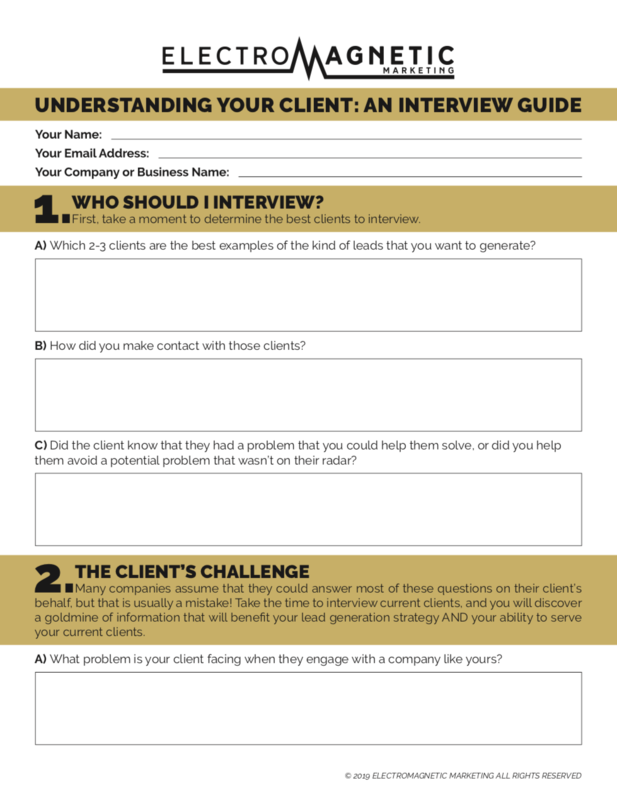 Enter Your email address to download Electromagnetic Marketing’s “Client Interview Guide”.